1946/08/07 cancelled from CAA Aircraft Register. Used by Air Cooled Motors for engine tests. 1946/11/22 delivered to Casey Jones School of Aeronautics, Newark, New Jersey. 1949/05/05 cancelled from CAA Aircraft Register. Used for non-demonstrational technical flights only. 1946/12/05 given to Long Island Agricultural Institute, Conklin Street, Farmingdale, New York. 1946/12/23 cancelled from CAA Aircraft Register. Used by Aircooled Motors for engine tests. First ship of revised design. Franklin 6A8-B8F Experimental engine # 335, 250 HP! Given to Syracuse University, New York. NC87456 Franklin 6A8-215-B8F # 23013. Used for New York Show display. 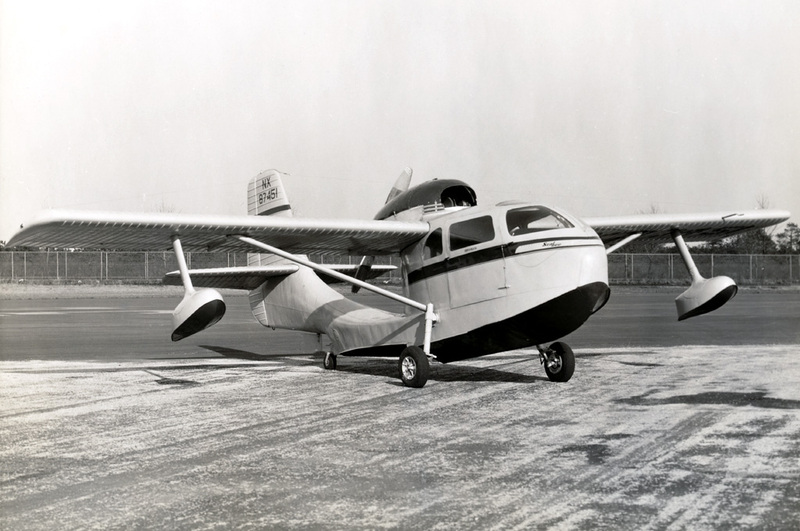 1947/01/31 delivered to: North American Airport Corporation; White Plains, New York. NC87457 Franklin 6A8-215-B8F # 23002. Used for CAA Tupe Certificate Approval. 1946/04/20 Manufacturing Date (A/W Certificate issued). 1946/04/20 C of R Issued. 1947/11/19 cancelled from CAA Aircraft Register. N87458 (1) Franklin 6A8-215-B8F # 23003. (2) Franklin 6A8-215-B8F # 23004. 1946/05/20 Manufacturing Date (A/W Certificate issued). 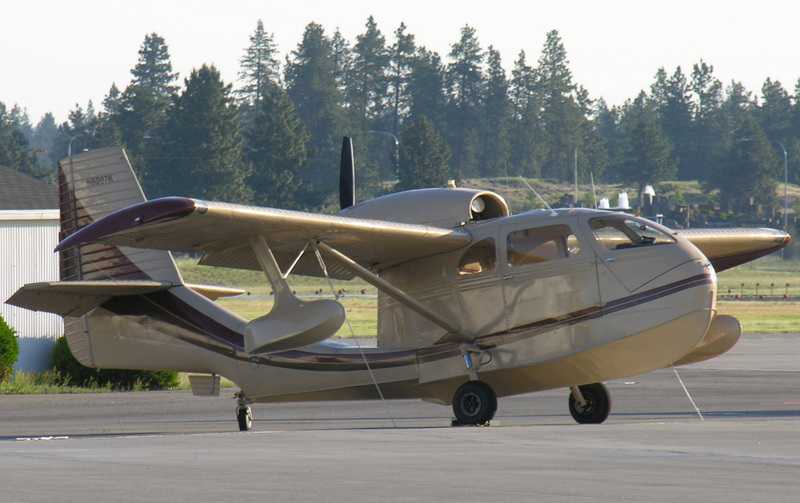 1946/11/16 delivered to: Northwest Air Service, Inc.; Boeing Field, Seattle 8, Washington. 1954/07/31 C of A expired. N87459 Franklin 6A8-215-B8F # 23006. 1946/11/29 delivered to Roscoe Turner Aeronautical Corporation; Municipal Airport, Indianapolis, Indiana. 1980/01/12 special registration "N600PJ". Cancelled. 1984/08/12 aircraft totally destroyed in fire, Alaska. 1946/11/15 delivered to delivered to Roscoe Turner Aeronautical Corporation; Municipal Airport, Indianapolis, Indiana. 1969/11/04 cancelled from FAA Aircraft Registry. 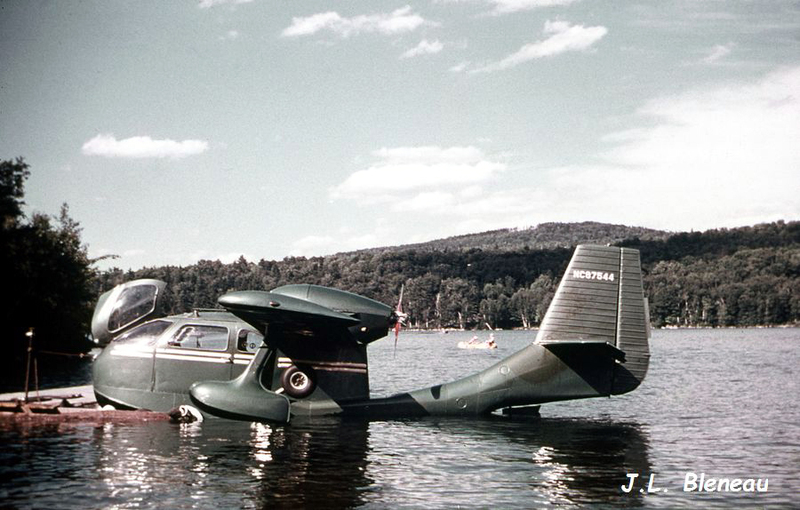 1946/11/15 delivered to Marden Airways, Inc.; Waterville, Maine. 1947/09/07 accident near Potter, New York. Dismantled. 1948/02/06 cancelled from CAA Aircraft Register. 12 1946 N87462 Franklin 6A8-215-B8F # 23010. 13 1946/07/25 N87463 First delivery. 1955/10/26 cancelled from CAA Aircraft Register. 14 1946/08/09 N87464 Delivered to North American Airport Corp.; White Plains, New York, USA. 1947/12/12 cancelled from CAA Aircraft Register. 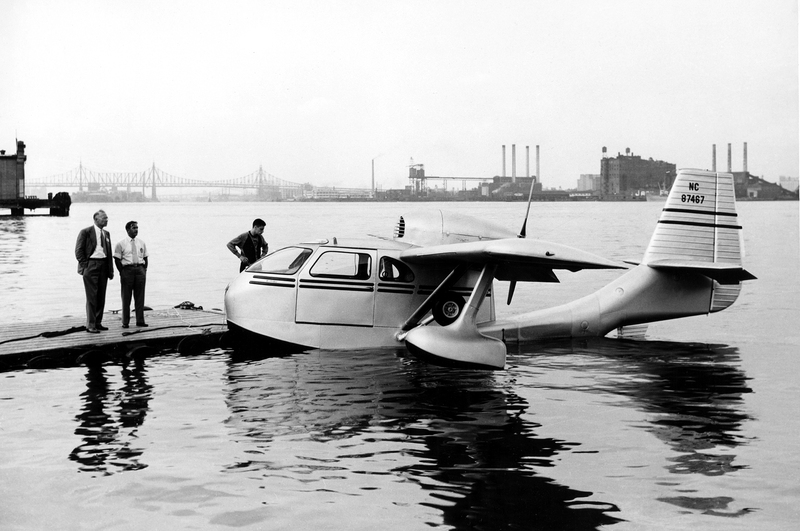 15 1946/08/07 N87465 Delivered to Safair Flying School; New York City, New York, USA. 16 1946/08/04 N87466 Delivered to Aircraft Sales Co.; Ft. Worth, Texas. 17 1946/08/05 N87467 Delivered to Harrington Air Service, Inc.; Mansfield, Ohio, USA. 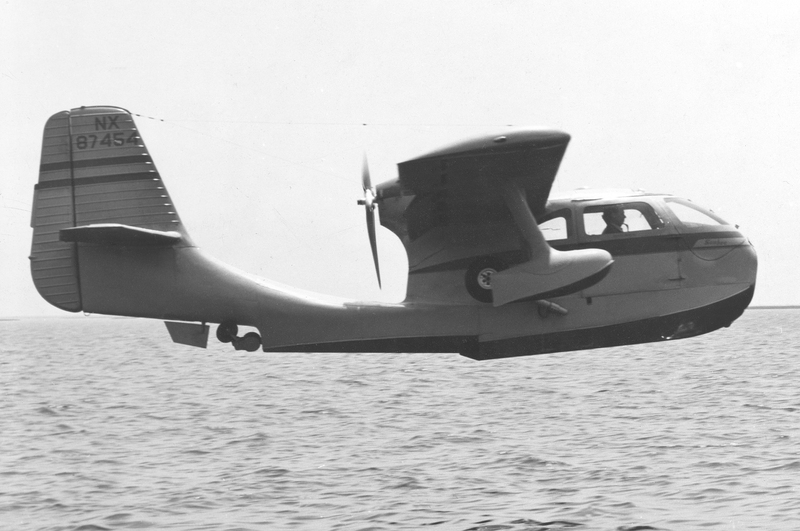 1949/06/27 cancelled from CAA Aircraft Register. CF-IHZ Delivered to State of Maine; Maine, USA. 1955/11/15 cancelled from CAA Aircraft Register. 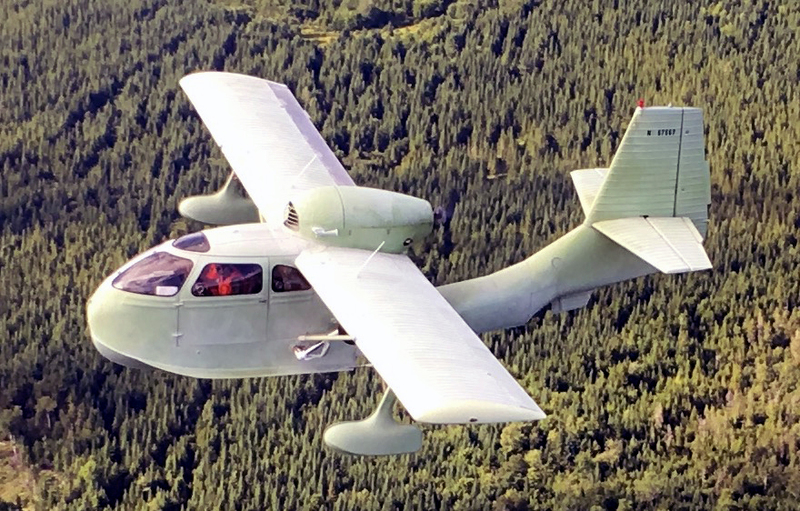 20 1946/08/28 N87470 Delivered to Raymond Aircraft Co.; Orlando, Florida, USA. 1956/06/05 cancelled from CAA Aircraft Register. 21 1946/08/20 N87471 Delivered to Hinck Flying Service, Inc.; Minneapolis, Minnesota, USA. 1956/02/24 cancelled from CAA Aircraft Register. 22 1946/08/13 N87472 Delivered to Anderson Air Activities; Milwaukee, Wisconsin, USA. 1949/03/31 cancelled from CAA Aircraft Register. 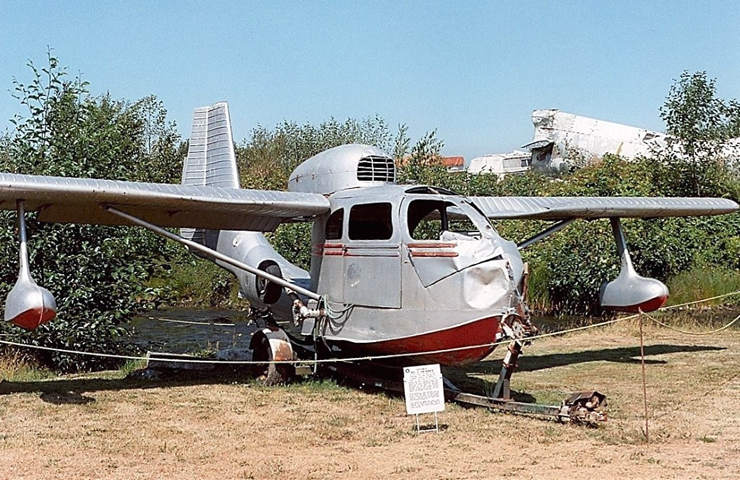 23 1946/08/04 N87473 Delivered to Northwest Air Service, Inc.; Seattle, Washington, USA. 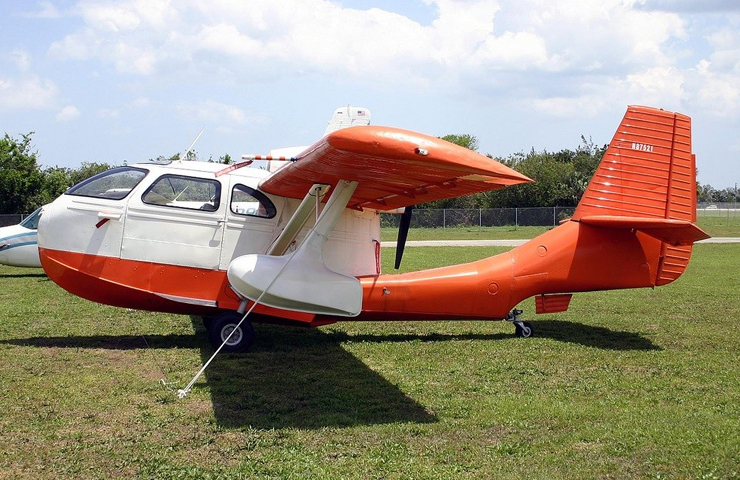 24 1946/08/13 N87474 Delivered to E. W. Wiggins Airways, Inc.; Norwood, Massachusetts, USA. 2014/10/06 cancelled from FAA Aircraft Registry. 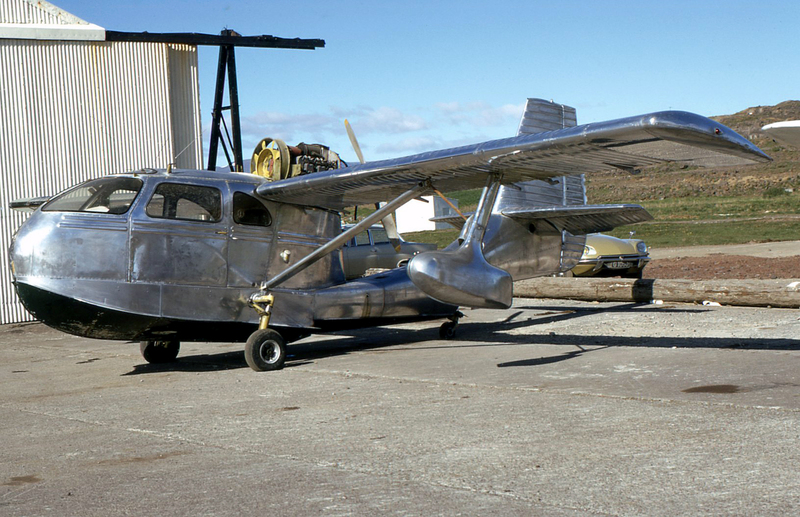 25 1946/08/21 N87475 Delivered to Buffalo Aeronautical Corporation; Buffalo, New York, USA. 1954/08/24 cancelled from CAA Aircraft Register. 26 1946/08/26 N87476 Delivered to Mr. R. Clarkson; RAC. 27 1946/08/10 N87477 Delivered to Aircraft Sales Corporation; Detroit, Michigan, USA. 1955/10/13 cancelled from CAA Aircraft Register. 28 1946/08/23 N87478 Delivered to Philadelphia Aviation Corporation; Philadelphia, Pennsylvania, USA. 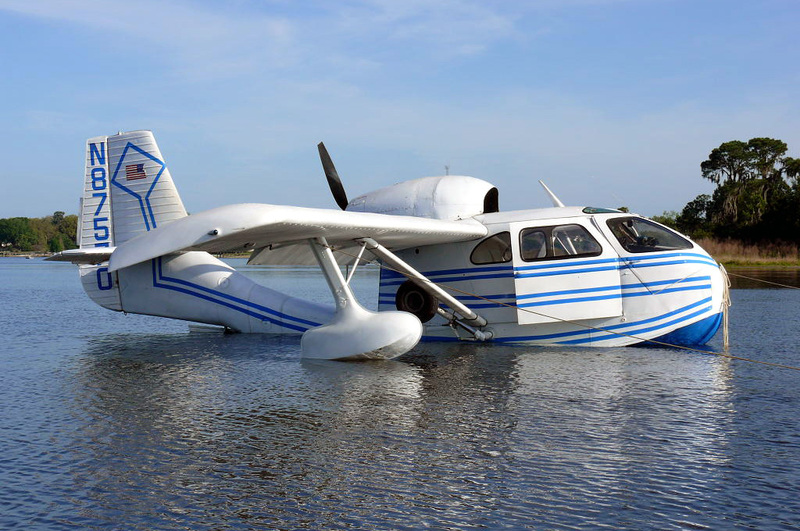 2013/05/15 cancelled from FAA Aicraft Registry. 29 1946/08/27 N87479 Delivered to Miller Aviation Center; Pittsburgh, Pennsylvania, USA. 1971/12/01 cancelled from FAA Aircraft Registry. 30 1946/08/20 N87480 Delivered to Alfred Marchev, President RAC. 2017/02/04 cancelled from FAA Aircraft Registry. 33 1946/08/24 N87482 Delivered to Piedmont Aviation, Inc.; Winston-Salem, North Carolina, USA. 2009/09/15 cancelled from FAA Aircraft Registry. 36 1946/08/27 N87485 Delivered to Harrington Air Service, Inc.; Mansfield, Ohio, USA. 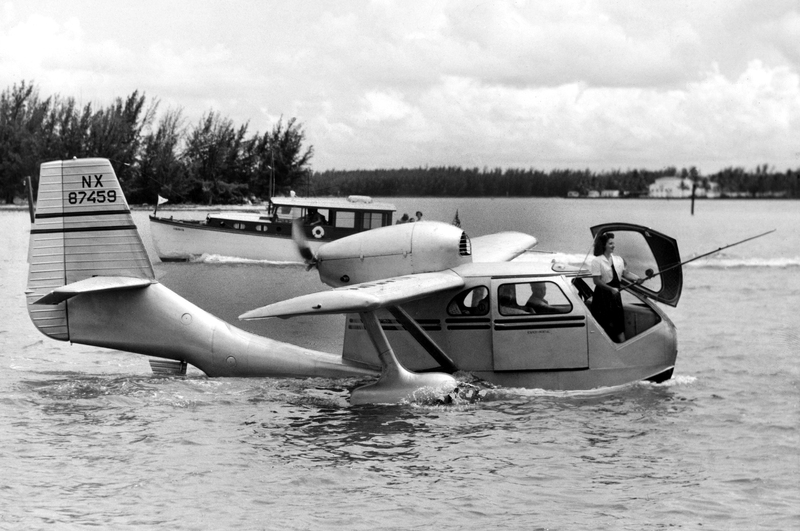 1970/07/13 cancelled from FAA Aircraft Registry. 38 1946/09/12 N87487 2009-07-01 Crashed Burley Municipal Airport (BYI), Burley, Idaho, USA. 2013/10/23 cancelled from FAA Aircraft Registry. 40 1946/10/03 N87489 Delivered to Central Flying Service; Little Rock, Arkansas. N36WT Delivered to North American Airport Corp.; White Plains, New York. 1964/04/03 cancelled from FAA Aircraft Registry. C-FDJV Delivered to Leavens Bros. Air Service, Ltd.; Toronto, Ontario, Canada. 2002/08/13 cancelled from Canadian CAR. 46 1946/09/22 N87494 Delivered to Southern Air Services; Memphis, Tennessee. 1949/04/05 cancelled from CAA Aircraft Register. 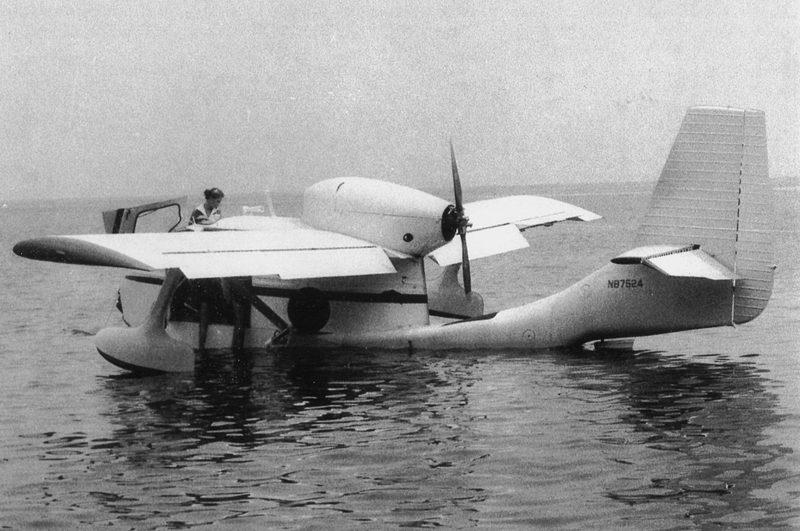 47 1946/09/25 N87495 Delivered to O'Connor Aircraft Co.; Watervliet, New York. 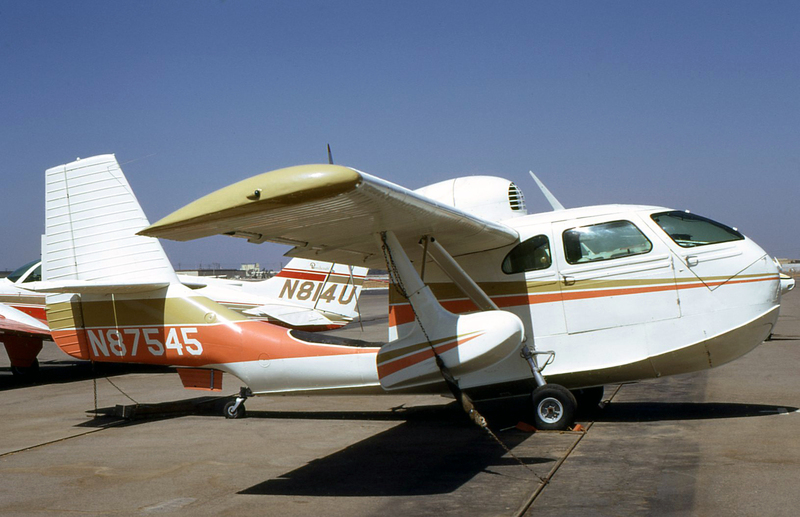 N5843N Delivered to Carnahan Flying Service; Bloomington, Illinois. 1970/12/31 cancelled from FAA Aircraft Registry. 50 1946/09/17 N87498 Delivered to Rankin Aviation Industries; Tulare, California. Destroyed in Universal TV-movie "Wings of Fire", 1967. 1967/11/02 cancelled from FAA Aircraft Registry. PT-KUN Delivered to Scranton Airways; Clark Summit, Pennsylvania. 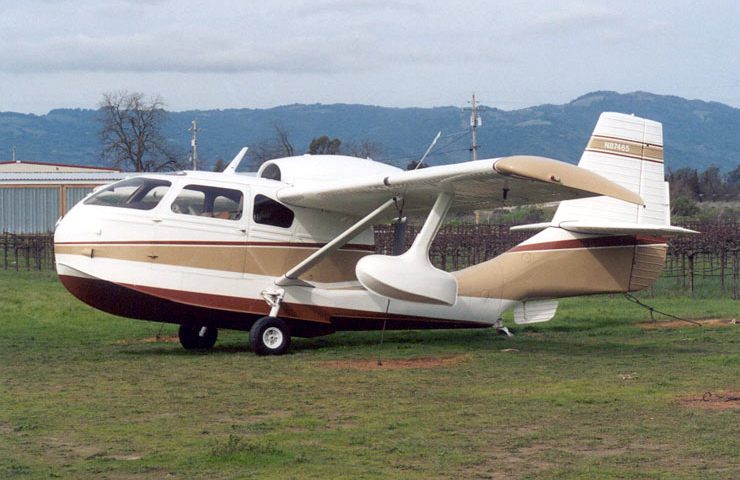 1973/05/24 cancelled from FAA Aircraft Registry. 54 1946/09/25 N87502 Delivered to Muncie Aviation Corp.; Muncie, Indiana. 2013/03/11 cancelled from FAA Aircraft Registry. 55 1946/09/26 N87503 Delivered to Associated Aviation Co.; Cincinnati, Ohio. 56 1946/09/28 N87504 Delivered to Dakota Aviation Co.; Huron, South Dakota. N87505 Delivered to Oscar L. Hostetter; Thomasville, Pennsylvania. 1975/11/16 A/C departed from Gainesville, GA, for a ferry flight to Charlotte, NC. During flight a push rod, P/N 1219, in elevator control system disconnected from the control column lower quadrant, P/N 1223. A/C made an uncontrolled decent into a lake in Gastonia, North Carolina. The 56 year old pilot (25.000 hrs), was fatally injured and the aircraft reported as "destroyed". [NTSB Identification: IAD76AI034]. 58 1946/10/03 N87506 Delivered to North American Airport Corp.; White Plains, New York. 2013/05/15 cancelled from FAA Aircraft Registry. N174G Delivered to Curtiss-Reid Flying Service, Ltd.; Montreal, Canada. 2014/12/17 cancelled from FAA Aircraft Registry. 2017/04/07 cancelled from FAA Aircraft Registry. 61 1946/10/02 N87508 Delivered to Burke Aviation Corporation; Oklahoma City, Oklahoma. 62 1946/10/02 N87509 Aircraft Sales Company; Fort Worth, Texas. 1970/09/03 cancelled from FAA Aircraft Registry. XB-??? 1954/06/07 cancelled from CAA Aircraft Register. 67 1946* N87514 *1946/09/25 crashed before delivery. 69 1946/09/26 CF-DLN Delivered to Pulsifer Brothers, Ltd.; Halifax, Nova Scotia, Canada. 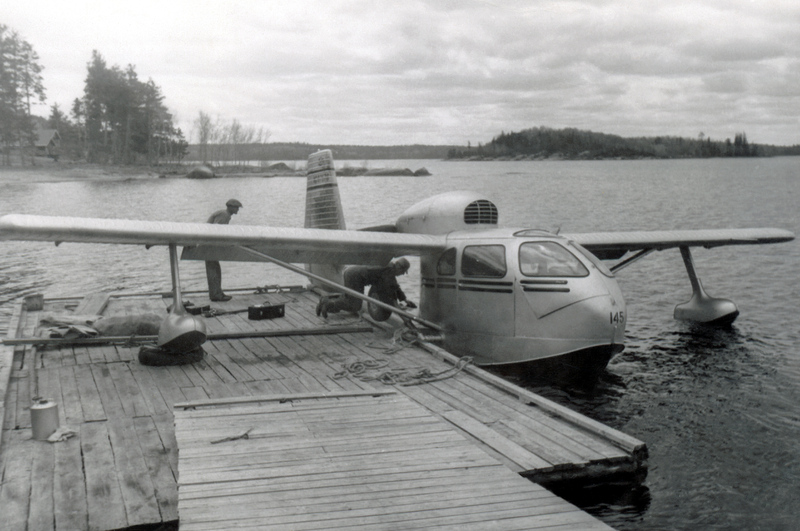 1960/08/23 cancelled from Canadian Aircraft Register. 75 1946/10/31 N87518 1988/04/28 cancelled from FAA Aircraft Registry. 2012-07-21 crashed south of Harvey Field Airport, Snohomish, WA, after engine failure. 2012/08/14 cancelled from FAA Aircraft Registry. 1946/12/27 N87523 1946/10/08 delivered to Alfred Marchev (RAC). 81 1946/10/13 N87524 Scrapped in Kissimmee, Florida. 2004-06-14 photographed at scrap yard. 82 1946/10/13 N87525 Under restoration. Robinson V8 engine. 2013/07/11 cancelled from FAA Aircraft Registry. 83 1946/10/05 N87526 Delivered to Maiscott-Smith Flying Service; South Charleston, West Virginia. 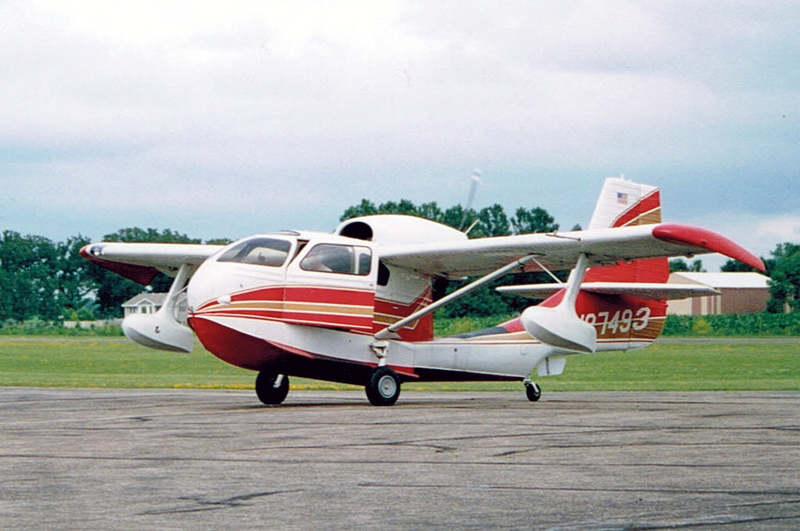 CF-FKA Delivered to Southeastern Air Service Inc.; Atlanta, Georgia, USA. Engine Franklin 6A8-215-B8F, s/n 23074. 1947/01/31 - 1958/08/18 on Canadian CAR. WFU? 97 1946/10/22 N87537 Delivered to North American Airport Corporation; White Plains, New York, USA. Delivered to Wiggins Airways, Inc.; Norwood, Massachusetts, USA. 105 1946/10/30 N87545 Delivered to Rankin Aviation Industries; Tulare, California, USA. 1974 destroyed in James Bond movie "The Man With The Golden Gun"; Thailand. 2012/09/10 cancelled from FAA Aircraft Registry. 108 1946/10/25 N87548 1946/10/25 delivered to Sales Department, Republic Aviation Corporation; Farmingdale, Long Island, NY. 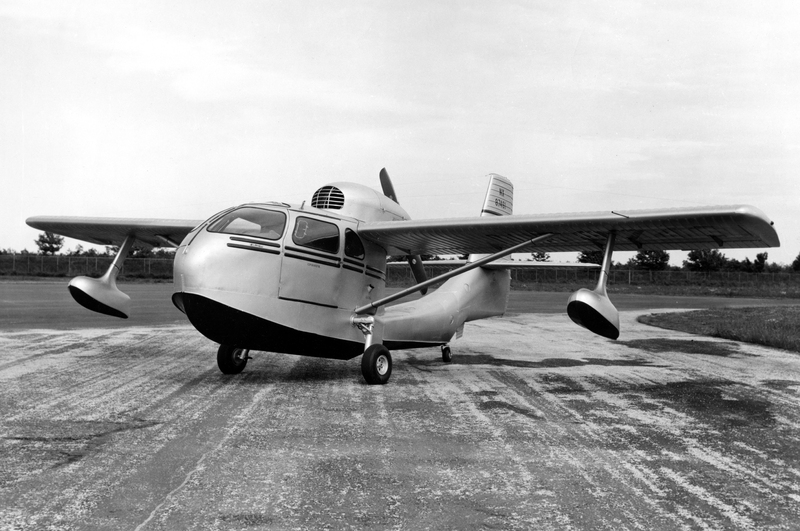 110 1946/10/30 N87549 Delivered to Buffalo Aeronautical Corporation; Buffalo, New York, USA. CF-BFR Delivered to Anderson Air Activities; Milwaukee, Wisconsin, USA. 1969/03/07 Lake Placid, FL. Gear down landing water. 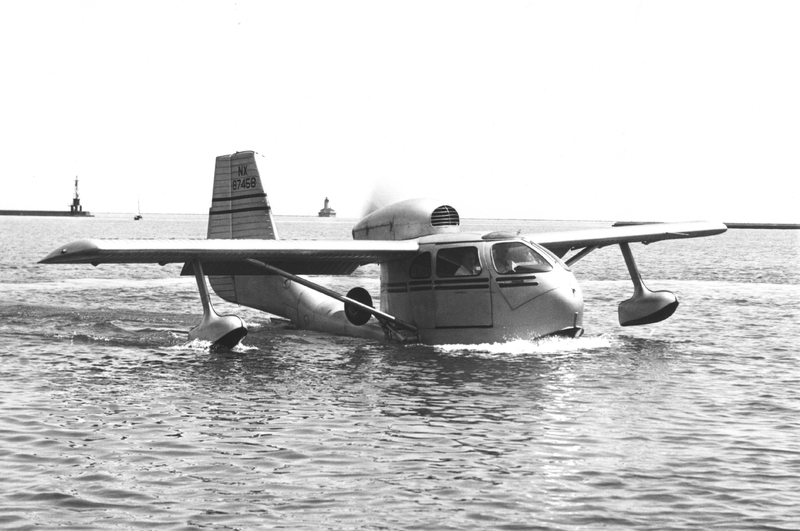 1973/07/25 cancelled from FAA Aircraft Registry. 1992/04/01 cancelled from Canadian CAR. 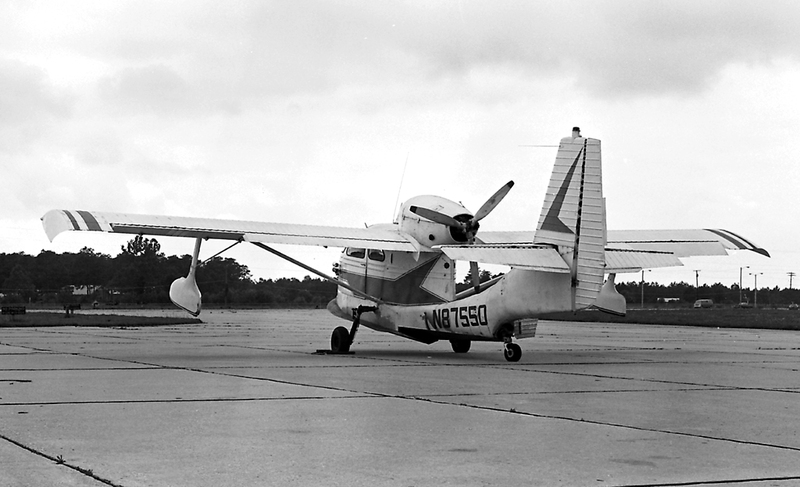 114 1946/11/02 N87553 Delivered to Serv-Air, Inc.; Raleigh, North Carolina, USA. 118 1946/10/31 N87556 Delivered to Simsbury Flying Service; Simsbury, CT, USA. CF-BCT Delivered to Simsbury Flying Service; Simsbury, CT, USA. Exported to Canada. (No longer on Canadian Register). 121 1946/10/31 N87559 Delivered to O'Connor Aircraft Co.; Albany, New York. 1952/10/27 cancelled from CAA Aircraft Register. XB-??? Delivered to Aircraft Sales Co.; Ft. Worth, Texas. 1949/12/02 cancelled from CAA Aircraft Register. 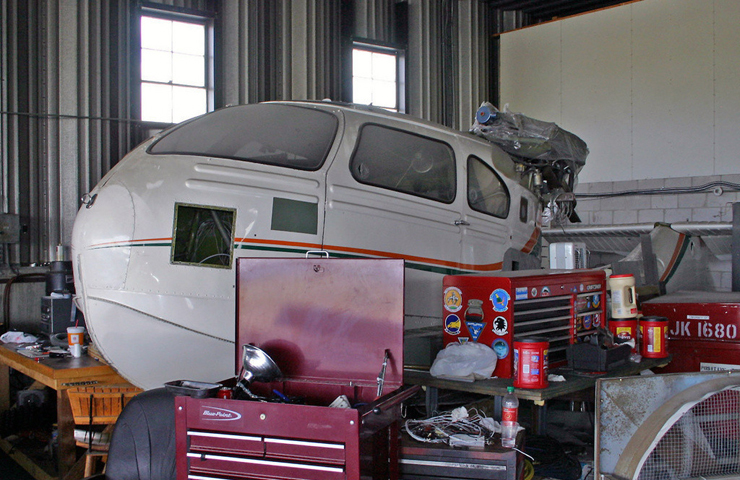 CF-HVW Delivered to O'Connor Aircraft Co.; Albany, New York. 1955/06/20 cancelled from CAA Aircraft Register. CF-??? Delivered to Southern Air Services; Memphis, Tennessee. 2000/03/21 cancelled from FAA Aircraft Registry. 125 1946/11/09 N87563 Delivered to Ong Aircraft Corp.; Kansas City, Missouri. 127 1946/11/15 N87565 Delivered to Aircraft Sales Co.; Ft. Worth, Texas. 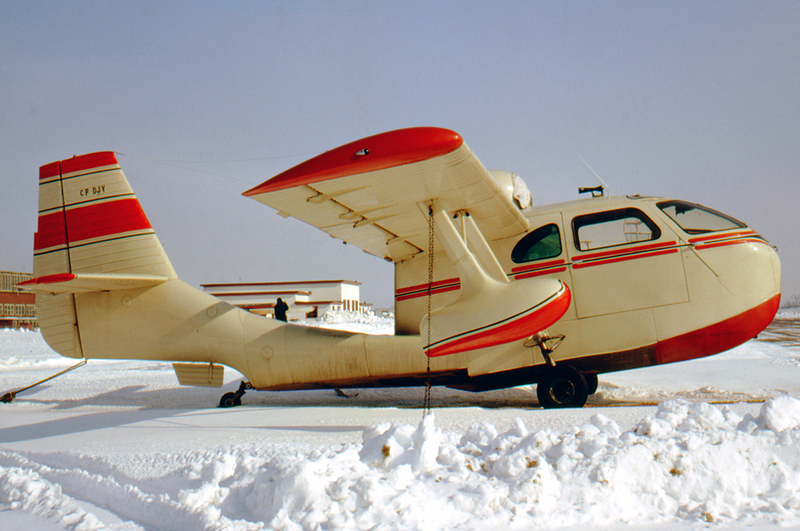 128 1946/11/25 N87566 Delivered to Turgeon Flying Service, Inc.; Northbrook, Illinois, USA. 130 1946/11/12 N87568 Delivered to Livingston Airways Corp.; Waterloo, Iowa. 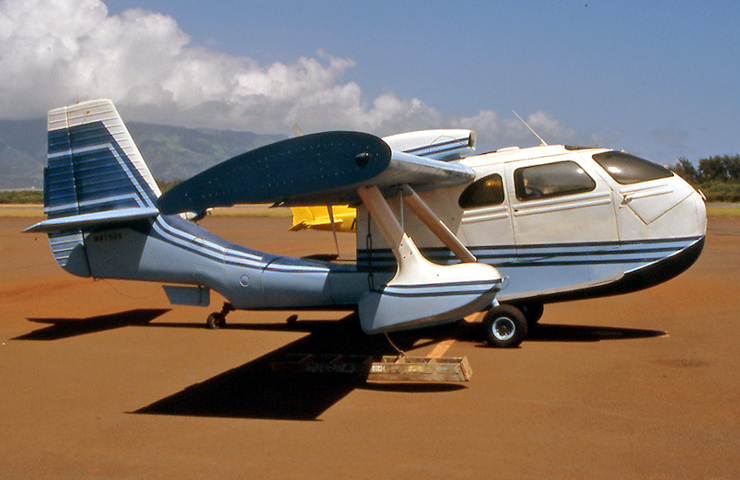 1974/10/11 cancelled from FAA Aircraft Registry. 131 1946/11/14 N87569 Delivered to Aircraft Sales Co.; Ft. Worth, Texas. 1949/09/16 cancelled from CAA Aircraft Register. 132 1946/11/16 ZS-BEE Delivered to Smith, Kirkpatrick & Co., Inc.
134 1946/11/14 CF-EJF Delivered MacLeod Aircraft, Ltd.; Vancouver, British Columbia, Canada. 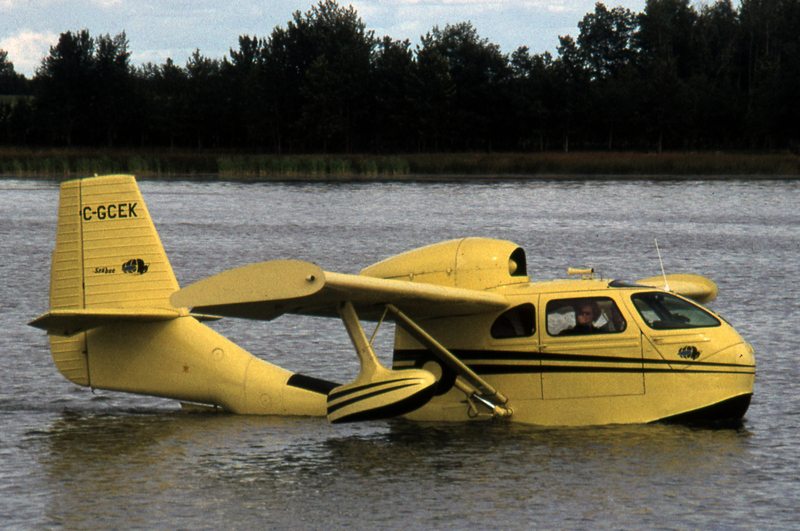 1951/07/10 crashed on Tahtsa Lake, BC, Canada. Glassy water landing. Destroyed. 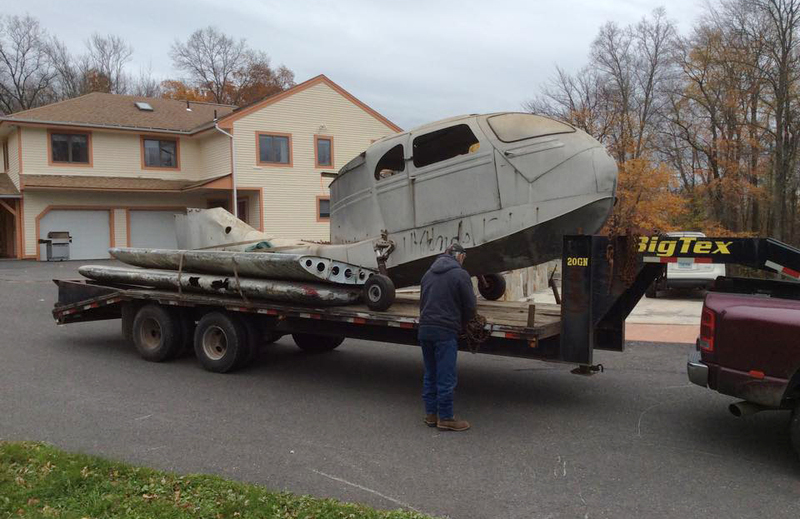 137 1946/11/14 N87570 Delivered to E. W. Wiggins Airways, Inc.; Norwood, Massachusetts, USA. 2016/07/22 Winter Haven, Florida: crashed after take off from Winter Haven Gilbert Airport (GIF). Engine lost power. 1 fatal and 1 seriously injured. 2018/04/05 cancelled from FAA Aircraft Registry. 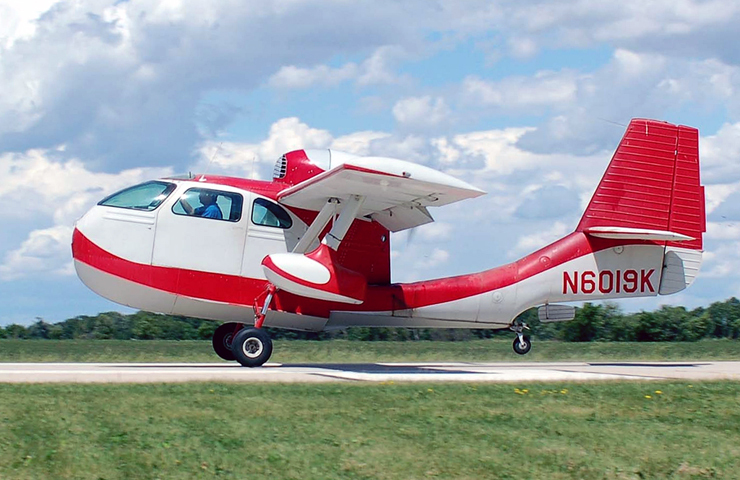 N6100K Delivered Turgeon Flying Service, Inc.; Northbrook, Illinois, USA. 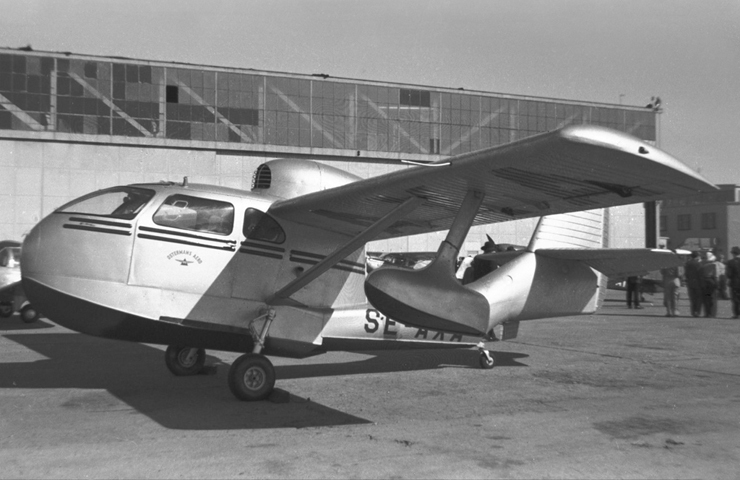 1956/02/14 cancelled from CAA Aircraft Register. 139 1946/11/15 N87572 Delivered to Aircraft Sales Co.; Ft. Worth, Texas. 1952/02/06 cancelled from CAA Aircraft Register. 140 1946/11/11 N87573 Delivered to Republic Aviation Corporation; Farmingdale, New York, USA. (Demonstrator). Engine Franklin 6A8-215-B8F, s/n 23146. 1949/07/30 Chicopee, Massachusetts; aircraft crashed into the Connecticut River. 2 fatal, 2 injured. 141 1946/11/13 N87574 Delivered to North American Airport Corp.; White Plains, New York. 1950/10/09 cancelled from CAA Aircraft Register. 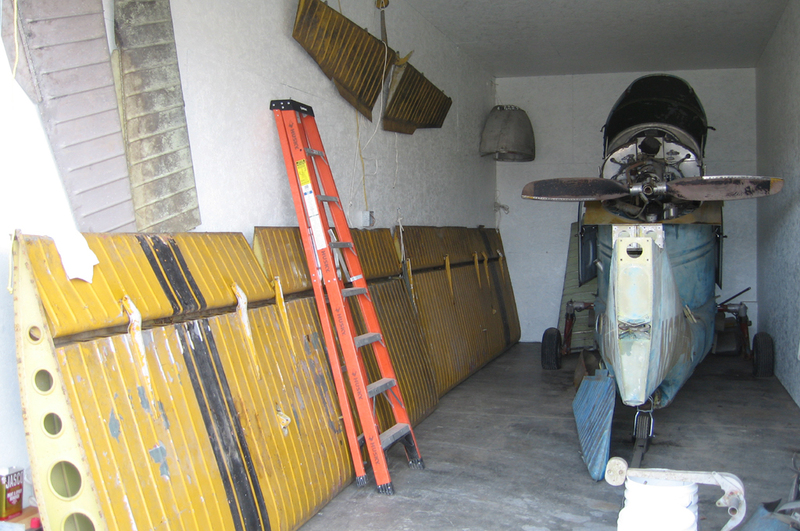 CF-LCC Delivered to Rankin Aviation Industries; Tulare, California. 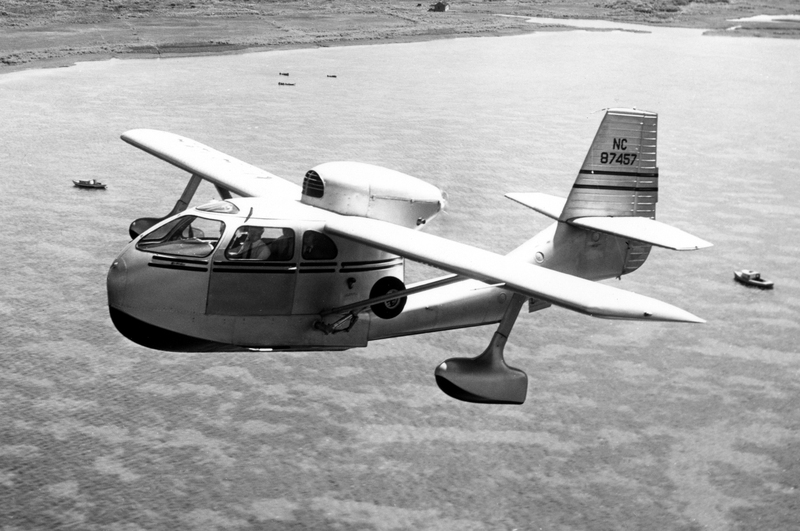 1959/04/03 cancelled from FAA Aircraft Registry. 143 1946/11/15 N87576 Delivered to North American Airport Corp.; White Plains, New York. 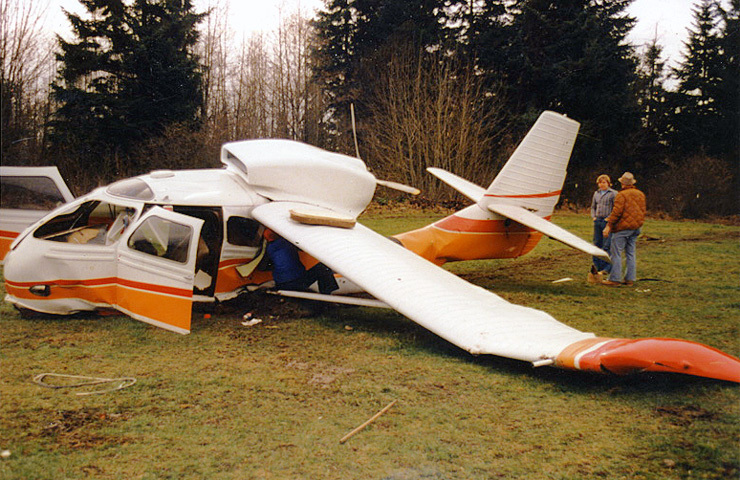 1980/02/28 Crashed on a field near 360th Street East and 58th Avenue East, McKenna, Washington, when engine stopped after take off from Yelm airport. 144 1946/11/23 N87577 Delivered to Rankin Aviation Industries; Tulare, California. 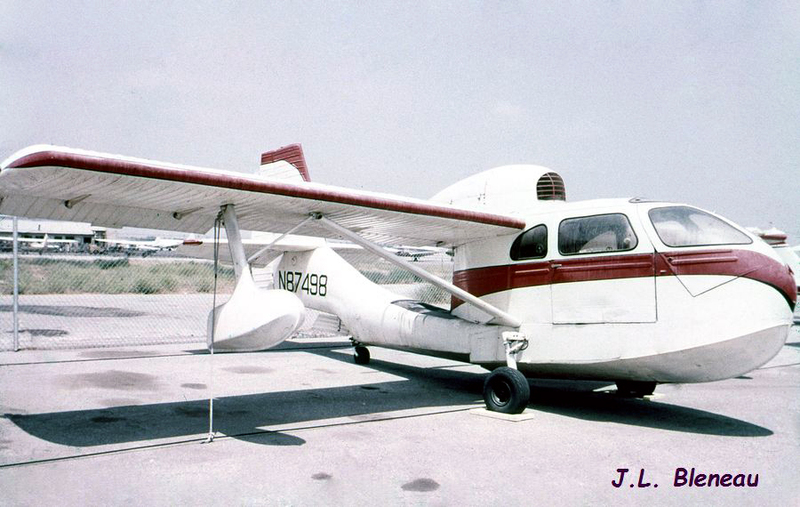 1958/10/12 Aircraft crashed at Santa Catalina Island, California. Pilot Vincent Pardew, actor Ed Hinton and model Marcella Crumley were all killed. CF-GTW Delivered to Dakota Aviation Company; Huron, South Dakota. 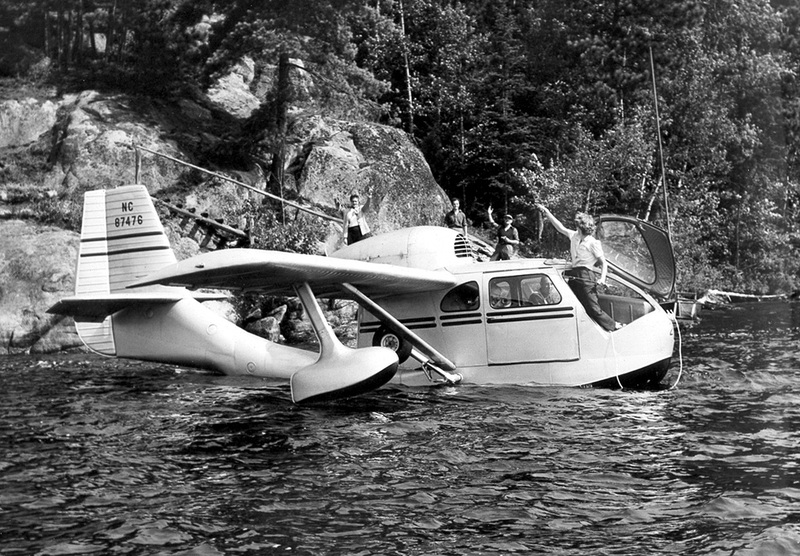 1960/09/20 Accident at Walls Pond, Newfoundland. CF-DLN Delivered to Associated Aviation Company; Cincinnati, Ohio, USA. 1963/12/17 cancelled from Canadian Aircraft Register. 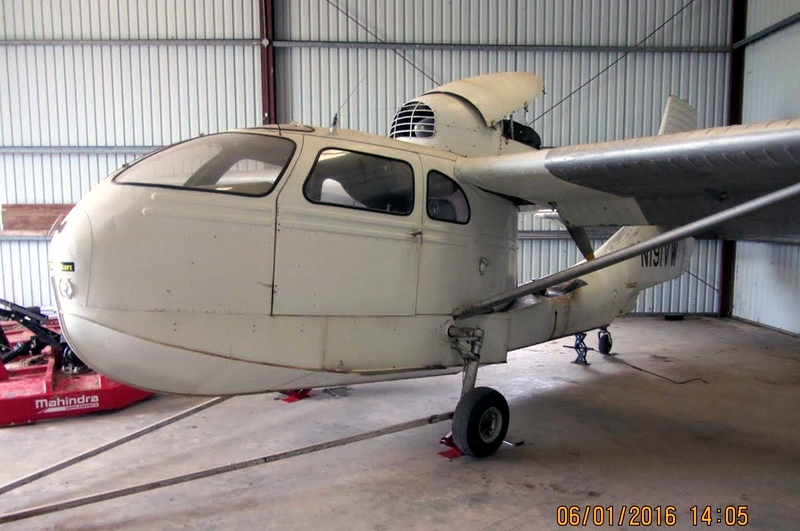 167 1946/12/02 N87598 Delivered to Raymond Aircraft Company; Orlando, Florida, USA. TF-RKH Delivered to Burke Aviation Corporation; Oklahoma City, Oklahoma, USA. 174 1946/11/30 N6004K Delivered to Muncie Aviation Corporation; Muncie, Indiana, USA. 1947/04/13 accident Winona Lake, Wayne Township, near Warsaw, Indiana. 177 1946/11/30 N6007K Delivered to Ong Aircraft Corporation; Kansas City, Montana, USA. Simuflight Lycoming GSO-480-81C6, 340 HP. 189 1946/12/06 N6019K Delivered to Taynor-Harris Aviation Service; Champaign, Illinois. 2010/07/18 destroyed by tornado at Antique Airfield (IA27), Iowa, USA. 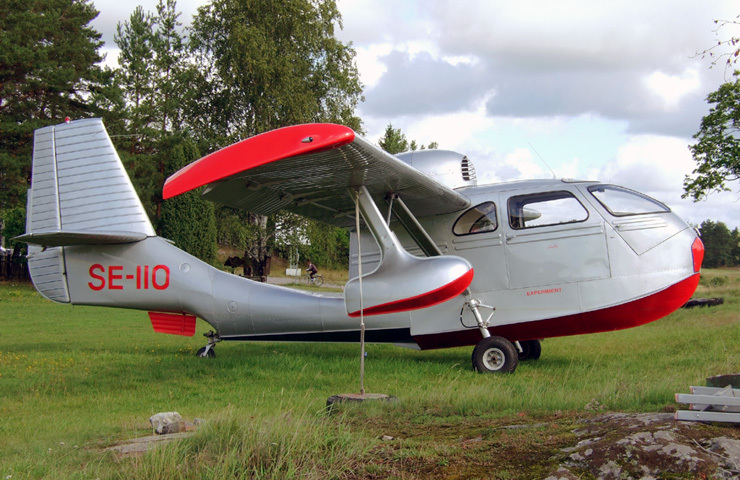 193 1946/12/22 N6023K Delivered to Rankin Aviation Industries; Tulare, California, USA. 2013/05/10 cancelled from FAA Aircraft Registry. VQ-TPA Delivered to Aircraft Sales Corp.; Detroit, Michigan, USA. 2008-09-14 destroyed by Hurricane "Hanna", Providencales Intl. Airport, Turks & Caicos Islands.